Renovate Contracts Ltd is a well established company with a fantastic reputation for high standards of work, quality and reliability. We are local authority approved and use Bona-Kemi, Jünckers, Osmo and Granwax Products. We are also the approved contractors recommended by flooring distributors, seal manufacturers and leisure operators. Renovate Contracts Ltd carries out court marking on a great scale. 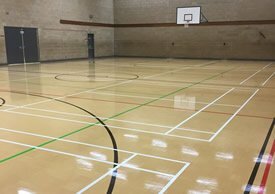 We are responsible for many newly installed sports floors of all kinds as well as on both wood and Junckers and Granwood floors which are being refurbished by way of machine sanding either by ourselves or by our client. We have huge experience in the renovation of School Hall & Gym flooring. We offer a quick turnaround either on weekends in school holidays to minimise disruption to the daily running of the school. We offer court marking where necessary. We only use the very best in floor coating to ensure the floor will withstand the heavy use for years to come. Here at Renovate Contracts, we really love wood! We have many years of experience with businesses and shopfitters and we are the number one choice when it comes to nurturing wood. We primarily work on wood floors but we have a team of expert french polishers to bring back to life those tired looking doors, walls, furniture, banisters and any other wooden items. We install newly fitted wooden floors in all commercial settings. We have a huge range of wood and have different designs and laying patterns available. Our woods can be stained in a variety of colours and are completely sealed after staining to prevent moisture penetrating the wood. 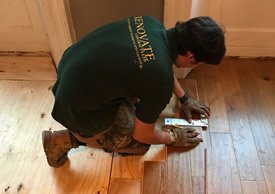 We make sure your wood floor looks a cut above the rest. 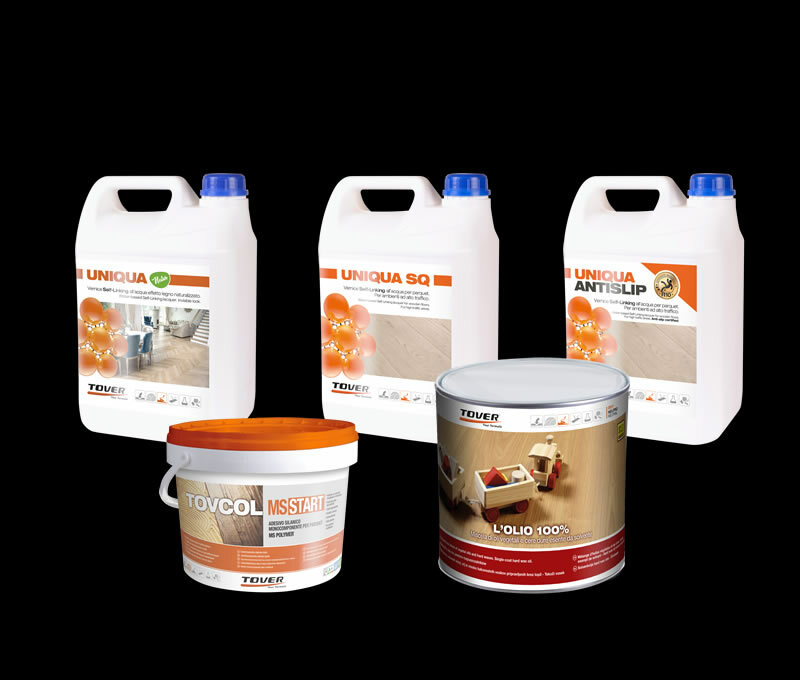 We stock a wide range of products for use within the Wood Flooring Industry. Including DPM’s, Adhesives, Sanding Abrasives, Fillers, Stains, Lacquers & Oils. We also stock cleaning & maintenance products to help keep your floor looking its best. Renovate Contracts LTD are a well-established company specialising in commercial wooden / timber flooring for Bars, Pubs, Clubs, Restaurants, Schools, Gyms, Stately Homes, Manors & Halls. We offer a 24-hour nationwide service to help minimise disruption to your daily operations. Please contact us today for a quote or advice, we have huge experience in hardwood floor refinishing. Our floor sanding services are virtually dust free and we are committed to making sure everyone's health & safety is at the highest level. All of our team members are experienced workmen and follow the correct health & safety guidelines. Our sanding service is virtually dust free to preserve the air quality.